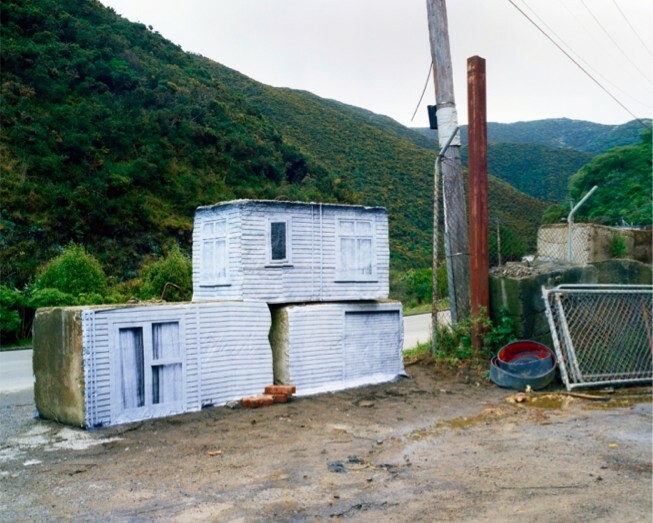 “James Voller is a Wellington based artist whose practice investigates aspects of place, photography and site specific installation. 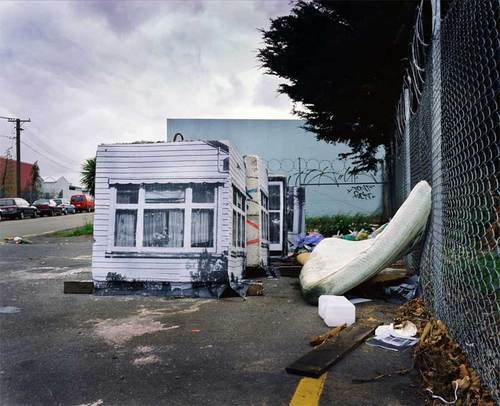 Voller graduated from The University of Canterbury with Bachelor of Fine Art in Photography. His final years work was the successful documentary book and series On my way Home which was shown in the United States and New Zealand. Since then Voller has completed a Master of Fine Arts through The Royal Melbourne Institute Of Technology where he explored site specific installation and reconsidered the role of the camera in his practice resulting in work which questions the role of photograph in contemporary society. 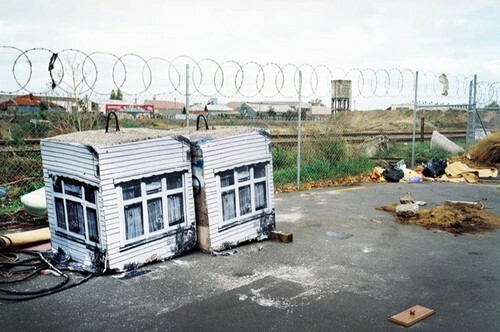 James’s current work looks at shifts in the physical sites around New Zealand and their relevant social histories. Through superimposing photographic imagery of domestic spaces in transitory urban spaces, Voller creates the illusion of housing where none exists, which echos the changes to New Zealanders’ psyche of where and how “home” exists. The works are created as paste ups, transforming the appearance of the actual site.